Ada Bello was born in Cuba, where she grew up for the early part of her life, eventually attending university in Havana. She left the country in 1958 after Fulgencio Batista closed the university because of conflict between students and police. She continued her education in America at Louisiana State University where she graduated with a degree in chemistry. After working in Mississippi for a short time, she relocated to Philadelphia in 1962, working at the University of Pennsylvania and later at the Food and Drug Administration. While living in Philadelphia she met a group of lesbian women who became early leaders in the Homophile Movement. She was a founding member of the Philadelphia Chapter of the Daughters of Bilitis and its successor, the Homophile Action League (HAL). She covered the early Annual Reminder demonstrations in the HAL Newsletter and demonstrated in the last Reminder in 1969. She was an active volunteer with the American Library Association’s Gay Task Force under the direction of Barbara Gittings. 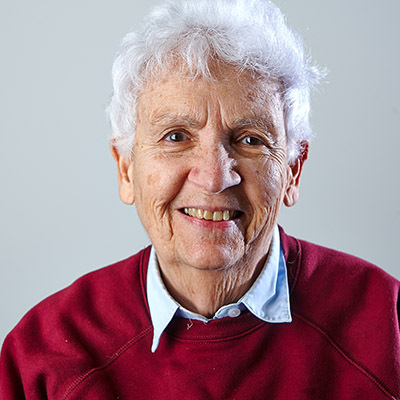 Ada was an early supporter of the Gay Community Center and served as the organization’s Co-Chair. She also served on the board of the Philadelphia Lesbian and Gay Task Force. She helped organize the first walk-a-thon for AIDS funding, From All Walks of Life, which evolved into the AIDS Fund. In 2010 Ada was invited to be on a panel at the LGBT Aging Summit, organized by Heshie Zinman, which would eventually lead to her involvement with the LGBT Elder Initiative. The summit allowed her to discover how many LGBT elders were encountering issues accessing or utilizing aging services because of their sexual orientation. Ada is now in her early 80’s and continues to be active serving on the Board of the EI. She is the 2015 recipient of the David Acosta Revolutionary Leader Award from GALAEI, Philadelphia’s queer Latino social justice organization.